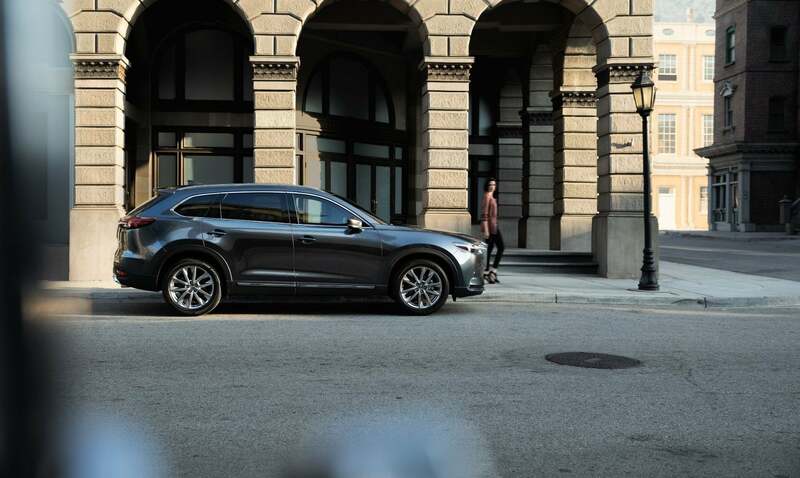 The 2019 Mazda CX-9 offers up three-row seating, abundant features, and plenty of safety tech for growing families. But it’s the driving dynamics that set this family hauler apart from other seven-passenger SUVs. Mazda wants you to “feel alive” when you drive their vehicles and they aren’t just blowing smoke. Over the weekend, we took the 2019 Mazda CX-9 Grand Touring with all-wheel drive for a spin. 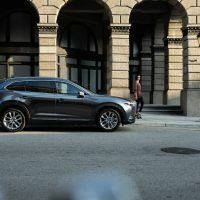 The Mazda CX-9 gets Android Auto and Apple CarPlay, a retuned suspension for a smoother ride, and a new surround-view parking camera. 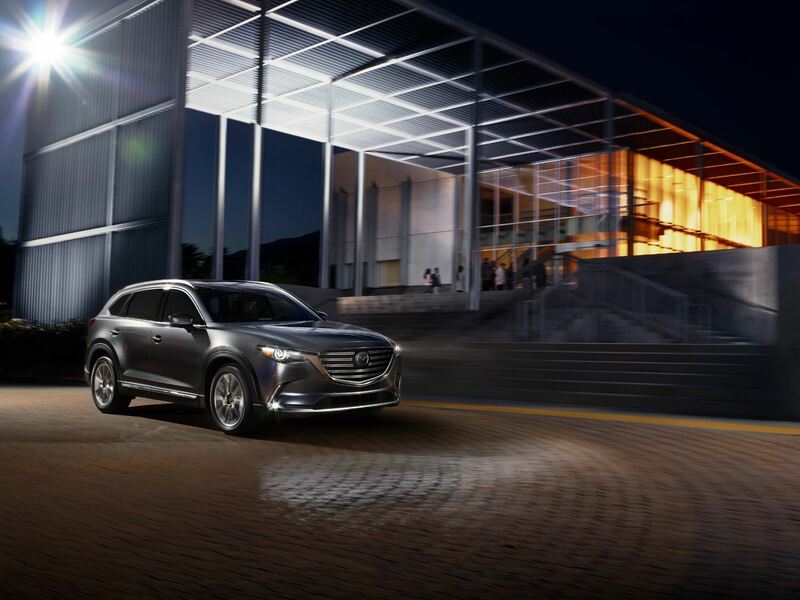 The 2019 Mazda CX-9 Grand Touring ($42,640) comes standard with automatic headlights and wipers, heated mirrors, a power liftgate, keyless ignition and entry, an auto-dimming rearview mirror, and a universal garage door opener. Comfort features include heated, power-adjustable front seats and leather upholstery. Connectivity features include the eight-inch infotainment display and two USB ports in the second-row center armrest. 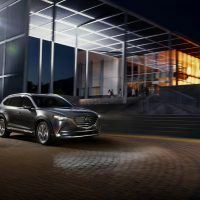 The Grand Touring also adds more safety features, including automatic high beams, adaptive cruise control, lane-keeping assist, blind-spot monitoring, rear cross-traffic alert, and automatic emergency braking. 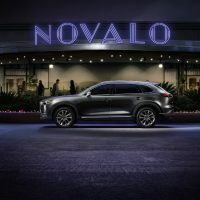 The Grand Touring trim further dresses things up with 20-inch wheels, adaptive headlights, LED fog lights, roof rails, a sunroof, front and rear parking sensors, a heads-up display with traffic sign recognition, and a digital gauge cluster. 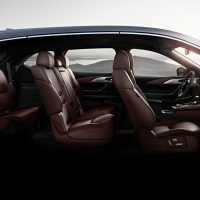 Drivers are treated to ventilated front seats and a heated steering wheel, while rear passengers receive retractable sunshades and heated seats. 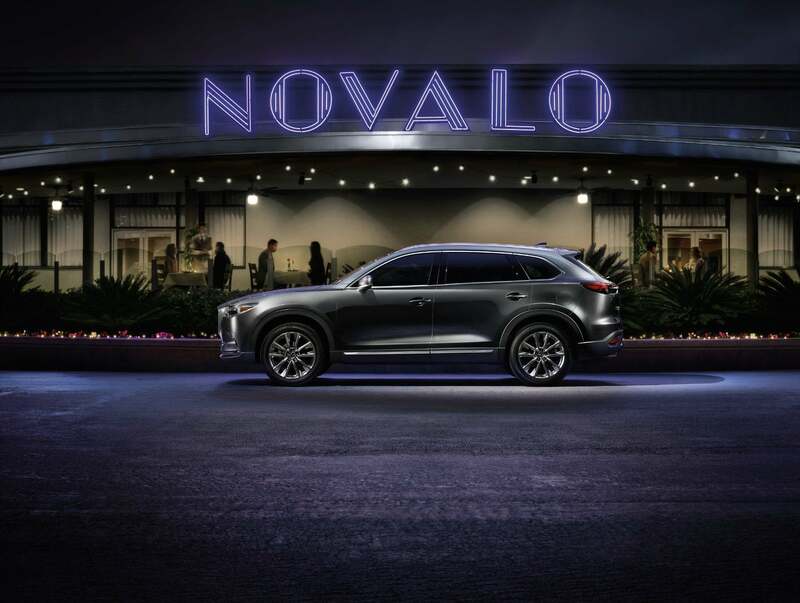 The Grand Touring goes further yet, with aluminum interior trim, ambient lighting, navigation, and a 12-speaker Bose audio system. Total MSRP including destination: $45,310. 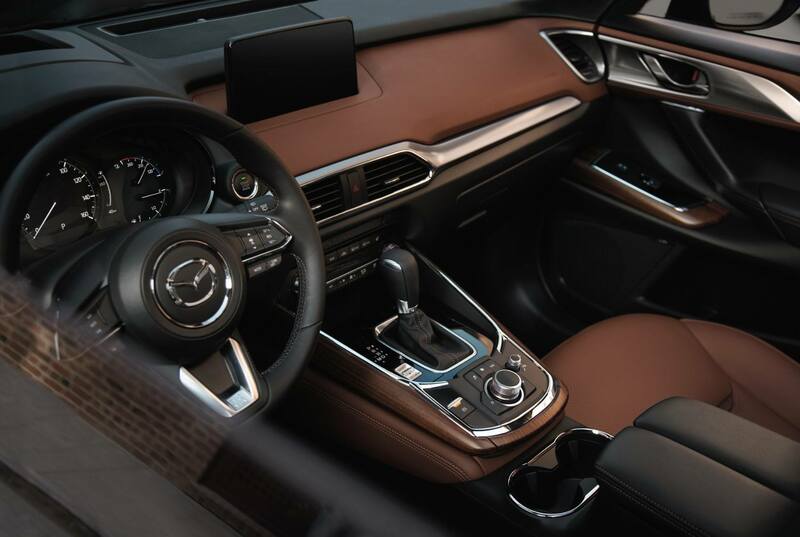 Comfortable and inviting are the two best words to describe the cabin of the CX-9 Grand Touring. This trim makes liberal use of soft-touch materials on the inside. The fit and finish is tight, and the material quality is the best among three-row crossovers. The CX-9 feels larger than it looks with plenty of room for taller adults. The front seats are extra comfy. They won’t leave you tired at the end of the day, as we found on two longer trips through the high country. The interior is ideal for stressful commutes, or for taking the family on a trip to the mountains for a weekend ski trip. During our weekend drive, the heated seats and newly-added heated steering wheel were nice to have. The second row will easily accommodate two adults, while the third row is ideal for kids. The front and rear doors are relatively short and we found ourselves hitting our heads when we got out. The raked design has drawbacks when it comes to headroom. 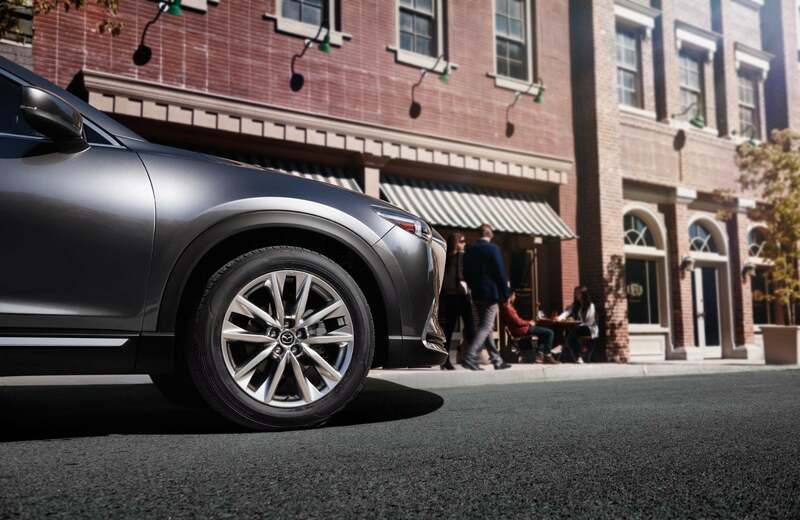 When it comes to cargo space, the CX-9 will hold as much as most families will need, although it’s less than competing SUVs and crossovers. The power liftgate did make it easy to load the extra cargo we had, however. 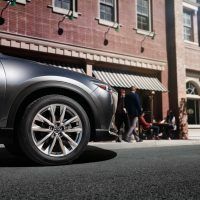 The 2019 Mazda CX-9 is powered by a 2.5-liter four-cylinder engine, generating 227 horsepower and 310 lb-ft. of torque. Fill up with premium and the horsepower jumps to 250. 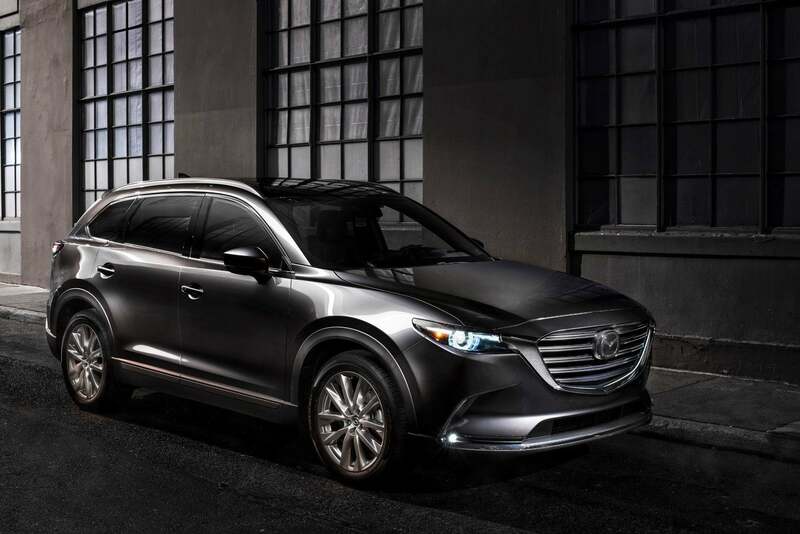 The engine is paired with a six-speed automatic; all-wheel drive is optional and came on our CX-9 tester. EPA fuel mileage estimates are 20/26 city/highway and 23 combined mpg. 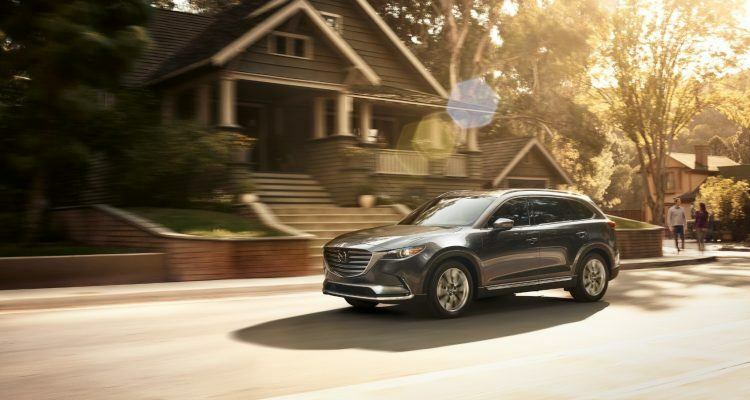 When compared to similar vehicles, the 2019 Mazda CX-9 is ahead of the curve in terms of fuel economy. 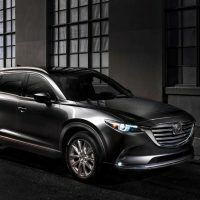 We think the 2019 Mazda CX-9 drives and handles much smaller than its actual size. It has Mazda’s sporty nature, which driving enthusiasts will appreciate. It’s nimble in city traffic and has a smoother, more confident ride than previous models. The cabin is especially quiet due to the raked body style with very little wind noise even at 75 mph. The one chief complaint we do have with the cabin is how visibility is limited due to the CX-9’s raked design. On the mountain roads west of Denver this weekend, we experienced some body lean, but overall, the CX-9 powers around the tight curves with little effort. 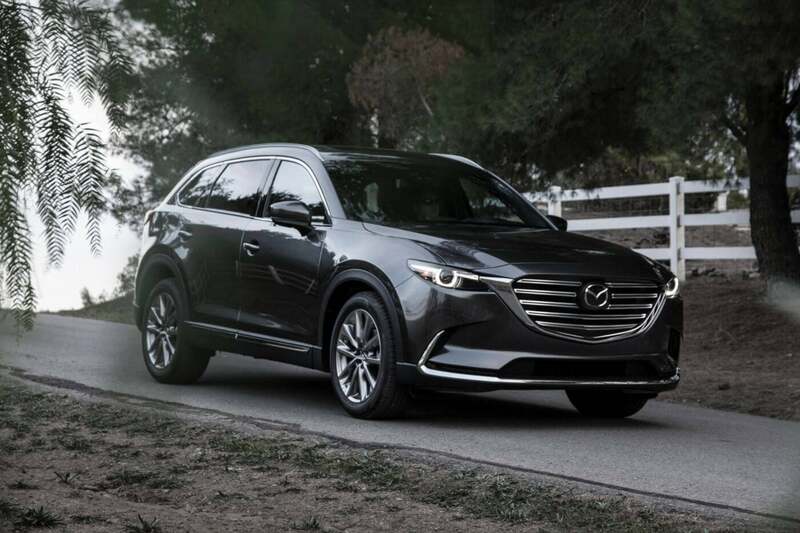 Mazda’s G-Vectoring Control actually adjusts power delivery, subtly shifting the CX-9’s weight throughout the turn, thereby reducing the need for steering corrections. On the open road, the 2.5-liter turbocharged engine has more snap than you might think for its size. 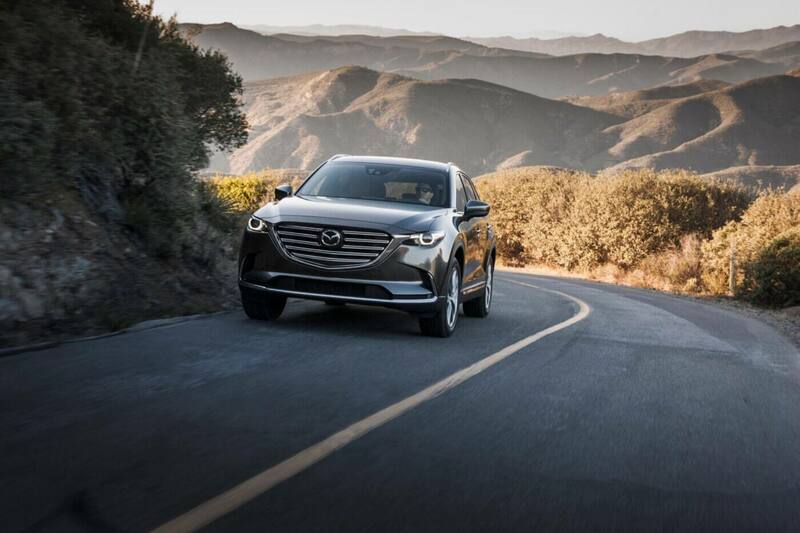 The new CX-9 has no trouble passing slower traffic, even at altitude in the rarefied air near Evergreen, Colorado. We had no issues accelerating quickly when merging into traffic. The six-speed automatic with Sport Mode is smooth and executes quick shifts when you need the extra boost. We had a light snowstorm hit the west side of Denver and the all-wheel drive worked flawlessly. We had no trouble on the slick roads either. Lastly, we found the low-speed automatic emergency braking feature useful in congested traffic. 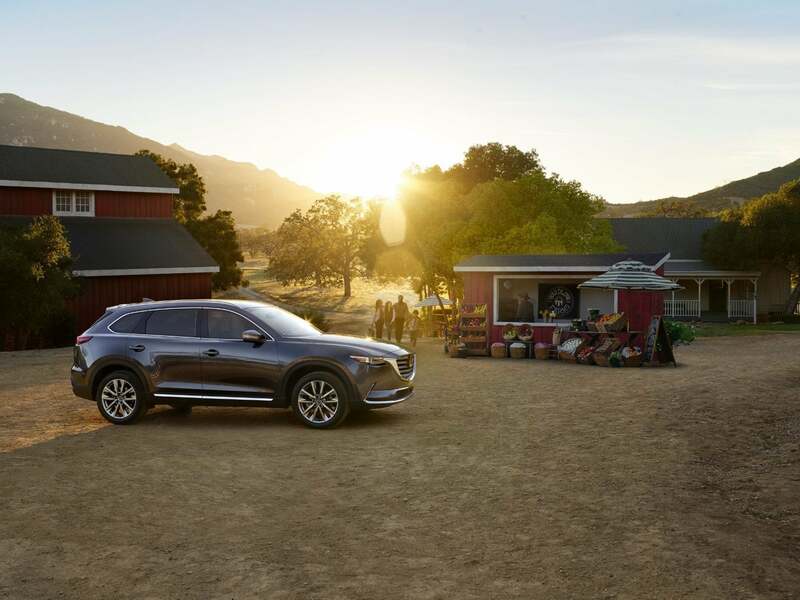 The 2019 Mazda CX-9 Grand Touring delivers a driving experience not replicated by many three-row SUVs today. 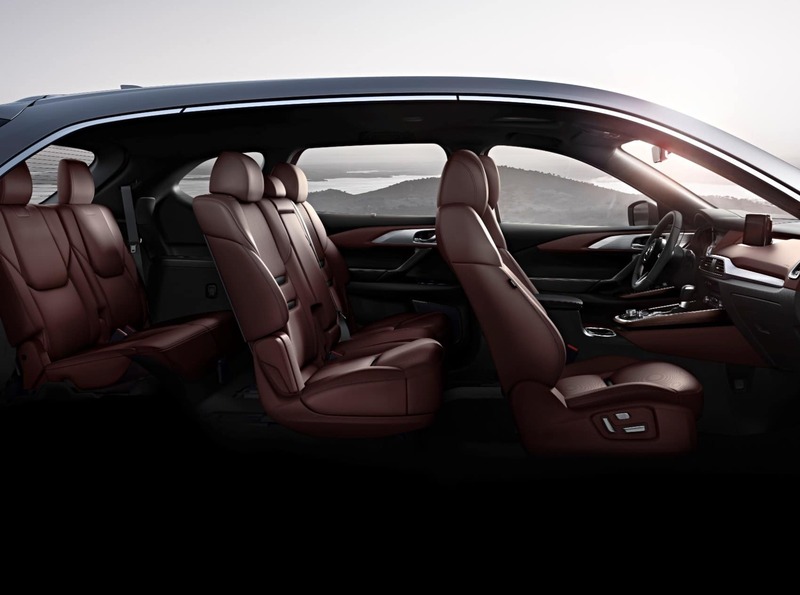 Those who need the space for commuting with the family, especially on snow-packed roads, will find the CX-9 will meet their needs. You might even find yourself having fun behind the wheel, as we did while doing this review. 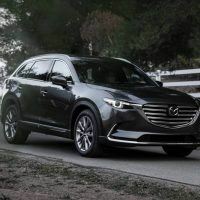 No Comments on "2019 Mazda CX-9 Grand Touring Review: Quiet & Confident"